During keiko yesterday I tried my best to coach a friend on making seme. As I see it, there are two separate but indivisible elements, the physical act of and the mental approach. In kendo we talk about shikai, the four sicknesses of surprise, fear, doubt and hesitation. It is to prompt one of these conditions that we make seme. There are many kinds of seme either involving the act of pushing in and taking away your opponent’s control of the centre or in pulling him in to make an involuntary movement, but typically when we think of seme we think of the former. To break the opponent’s centre, pushing the shinai forward with our arms is not sufficient. We need to push in with our whole body, stepping in with our hips and tanden braced. Equally importantly our kiai and mental approach need to be correct. We should be confident, full of energy and if we are going to surprise our opponent or make him afraid we need to be downright scary. The term kizeme is used to describe the process of attacking your adversary with your ki, or spirit and although this sounds faintly esoteric is a simple process. 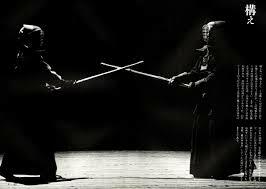 If outside of your kendo life you are confronted by someone who is extremely angry, or worse in a state of controlled anger, most people would feel fear. Whilst we don’t ever want to lose our tempers in kendo, we want to induce this feeling of fear in our opponent as we step in to attack. We do this by controlling our breathing and making strong kiai as we make seme and tame (the act of retaining your power in readiness to attack). The friend that I was working with today is physically small, which makes it even more important for her to produce strong seme to make the other person react. This is not at all impossible. 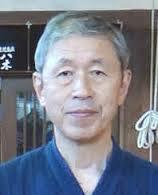 Some of the most frightening hachidan sensei are of small stature. 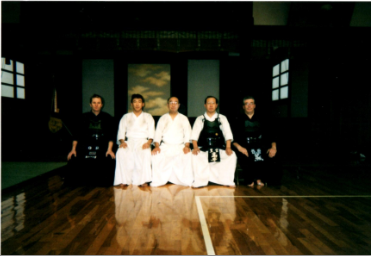 Arima sensei of Osaka fukei, Suzuki sensei of Hyogo kenkei, Takatera sensei, ex –Imperial Palace Police, and many others are formidable examples of how size does not matter in kendo. To have keiko with any of these sensei is a flat-out assault on your senses that leaves you feeling as if you have been hit by a tsunami. I know that my friend is going to watch the Kyoto taikai next month, so perhaps the best advice I can give her is to look out for the tachiai of these and some of the other smaller teachers and see for herself how scary they can be. I am back from yet another grading examination. As usual the 4th dan pass rate was reasonably slim and as usual the main reason was visible lack of seme and tame. This seems to be a common thread that runs through every grading. I deliberately added the word visible because I did see a number of people who made numerous successful attacks, but who still failed the examination. They may or may not have broken their opponents guard to reach the target, but the creation of the opportunity to strike was not visible to the panel. Seme and tame are inseparable. 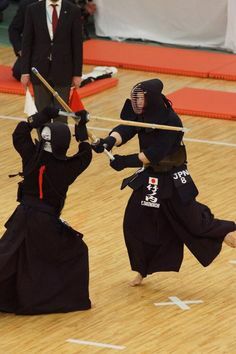 The ZNKR’s Japanese / English kendo dictionary defines semeru, (seme’s verb form) as “To take the initiative to close the distance with the opponent with full spirit”. Likewise tame is described as “the condition of being composed both mentally and physically and maintaining a spiritually replete state despite the tense situation”. 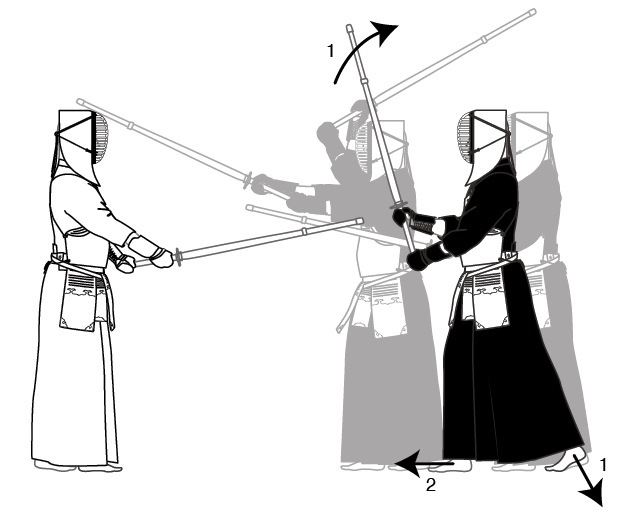 The two added together and put into plain language, equate to the act of aggressively penetrating your adversary’s kamae whilst maintaining a level state of mind and then being ready to strike the moment your opponent shows a weakness in his guard. There are numerous examples of tame in the animal kingdom. 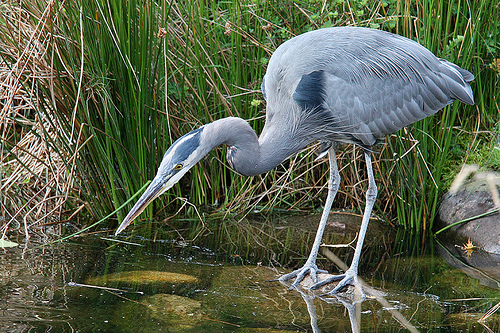 The way a heron waits by the waterside ready to spear the fish below as soon as it moves, the way a cat watches a mouse, ready to take the chance to attack when it knows the direction it will take, the way a snake almost hypnotises and then strikes its prey; all make good tame role models. If this is all starting to sound a little too metaphysical, let me remind you that you also need to make the correct physical actions to back up your kiryoku. As you make seme your left foot should snap into place to allow you to move at will. Your heel should continually be raised so that the sole of your foot forms a 15 degree angle with the floor and the back of your left knee should be tense. You should hold your breath in your abdomen so that you are ready to explode when you see the perfect opportunity to strike. Throughout all this your upper body should be relaxed, allowing you to deliver a perfect ippon. Apologies for constantly raising this subject, but lack of seme and tame really seem to be one of the major barriers to reaching the higher dan grades. Seme-geiko – The finer points? This blog is becoming increasingly request driven. 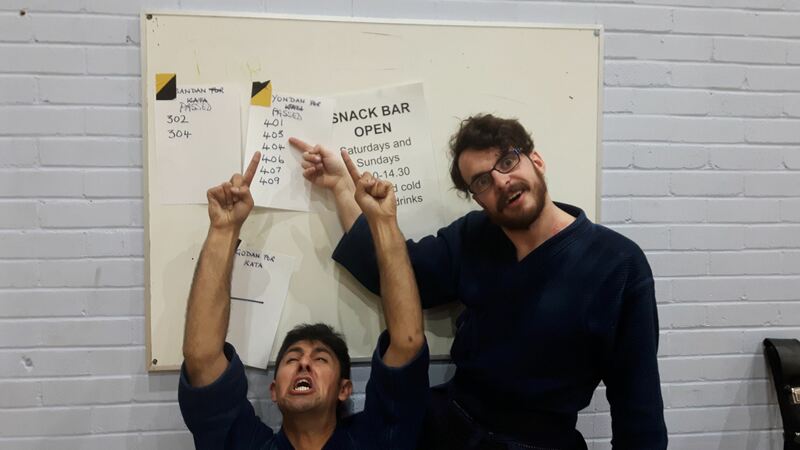 Morgan Hooper of Enshinkan Dojo in New York asked for clarification on a previous post on seme-geiko and some the finer points of maai and footwork in seme . As I mentioned when I last wrote about seme- geiko, I was introduced to the practice by the late Furuya sensei at morning keiko in Sakai. Subsequently I practiced it a few times with his student Uegaki Isao sensei. All of these sessions were with senior ranked kenshi and it was taken as read that everyone knew the mechanics of seme, so no detailed instruction was given. Seme-geiko is effectively kakarigeiko for seniors, but with emphasis on creating the correct opportunity to strike. Each partner spends a short time pressurizing their opponent and creating chances to make 4 or 5 clean attacks. These are made going forwards in a straight line so waza are limited to men, kote and kote men. I realise that I haven’t come close to answering Morgan’s question, but let me try to make a few points on seme generally and leave you to transcribe them into seme geiko. If your seme does not have the required effect retain the centre and move back out to safe distance. These points only apply to moving forward for shikake waza. Hikidasu, or drawing your opponent in is another post in its own right. Morgan also asked about how to impose mental dominance when making seme. The answer to that one is similar to the old musicians’ joke – How do you get to Carnegie Hall? – Practice.